Santa in Atlanta – Santa Jeaux is EXTRAORDINARY!!! Well, it has indeed been a wonderful spring and now summer is coming on. 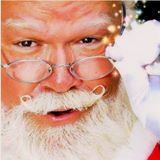 Santa in Atlanta – Santa Jeaux had the great pleasure of taking a few on-line courses taught by a famous Santa that lives on the west coast, Santa Ed Taylor of The Santa Claus Conservatory. He is not only a wonderful mentor, but a great friend. One of the things that I got most out of his classes was that ‘whatever you do, be extraordinary in it’. So, today, I have been sending out e-mails to all of my past clients and beginning the discussions on their bookings for the coming 2018 Christmas season. (I can hardly wait!!!) I previously sent video messages out to some of them, thanking them for their visit last season. All of this is part of the Santa in Atlanta – Santa Jeaux EXTRAORDINARY follow-up that I have started doing and plan on continuing. Not only is it important for the business of Santa Claus, but it is loads of fun. HOHOHO!!! 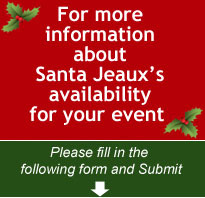 I am really enjoying this new Santa in Atlanta – Santa Jeaux website. It is well worth the time and expense of it. I hope you are enjoying it also.